I popped along to the dig on the Avenue at Avebury this morning and was made very welcome by Dr Joshua Pollard. Lots of fascinating finds to be revealed by them later but as a Stonehenge chap I was amazed to see the periglacial stripes leading down the gentle slope at a slight angle to the steepest slope in a very similar manner to the periglacial stripes under the Avenue at Stonehenge. The area has never been ploughed so they show up very well. Click the photo for larger. 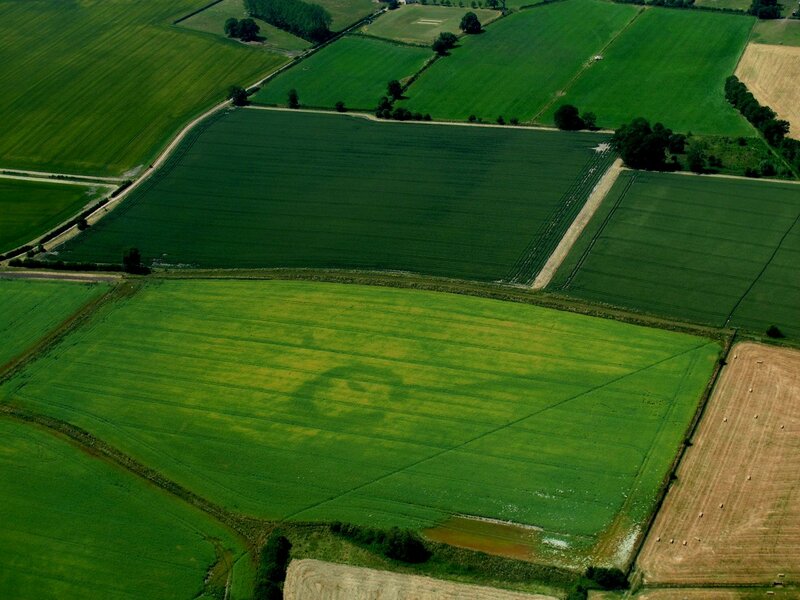 I have updated my post on Marden and Wilsford henges with some new aerial photos from Lizzie Bryant. The Avebury and Stonehenge Landscapes have been the scene of antiquarian and archaeological exploration and discovery for centuries and today researchers from around the globe continue to try to unlock its mysteries. They come to survey, to dig and to study and analyse the archives and collections held by the Alexander Keiller Museum. Today’s archaeologists follow in the footsteps of some of the great antiquaries and archaeologists of the past; men and women who’ve shaped our understanding of not just the World Heritage Site but the discipline that we know today as archaeology. The list is long and includes not only John Aubrey but William Stukeley, William Cunnington and Richard Colt-Hoare (and their marvellous illustrator Philip Crocker), Harold St. George Gray, OGS Crawford, Alexander Keiller, Dorothy Liddell, Stuart Piggott and Isobel Smith. The role call continues and in these pages we’ll bring you a flavour of discoveries big and small, past and present alongside a smattering of insights into what life is like working as an archaeologist in these extraordinary places. 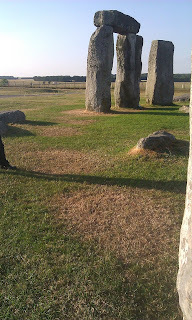 New Research Agenda - Stonehenge & Avebury. 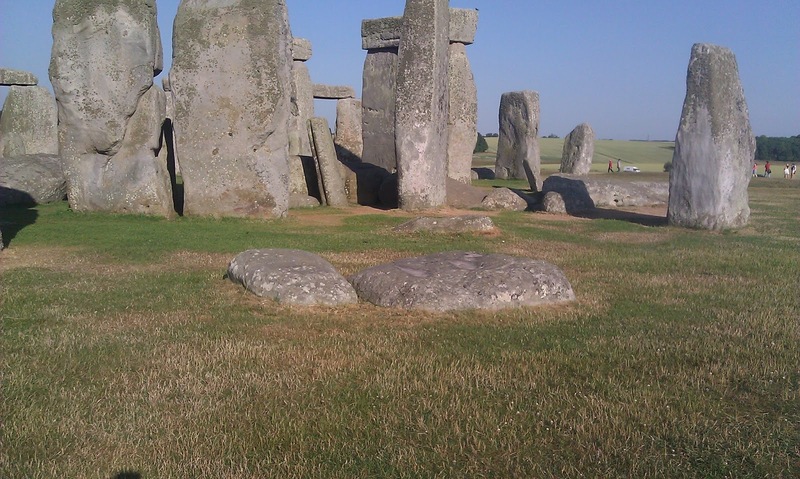 This first draft of the new combined Stonehenge and Avebury research agenda is a product of a stakeholder workshop held at Devizes Town Hall in June 2011. The agenda summarises the ideas that were expressed on the day by over 50 invited attendees, who were all contributors and/or consultees to both the Stonehenge and Avebury volumes and WHS committees. The project team is keen to receive feedback from colleagues and the wider public regarding the content of the current texts. Please email your comments and suggestions to sarrfcomments@gmail.com. Between the Monuments seeks to investigate the character of human settlement in the Avebury landscape during the 4th to mid-2nd millennia BC, and its relationship to changing environmental and social conditions, including the demands of monument building. 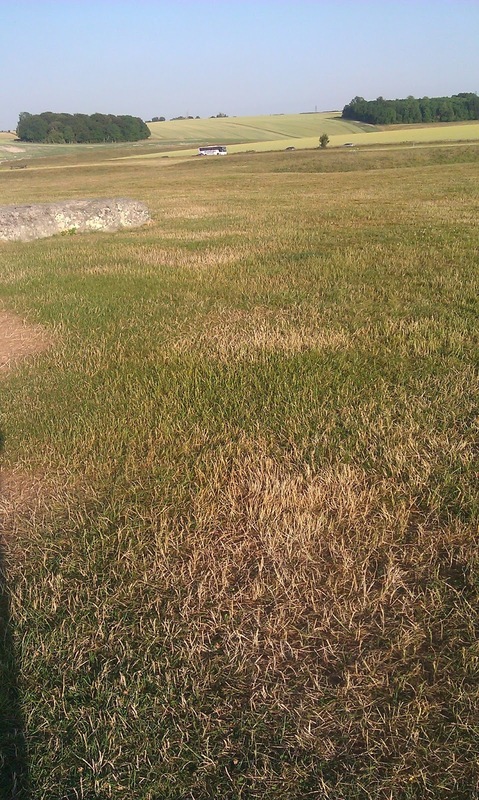 The context for this work resides in on-going debates surrounding the character of settlement and routine life during the Neolithic and Early Bronze Age, the Holocene environmental history of the English chalklands, prehistoric human-environment relations in their broadest sense, and connections between landscape inhabitation, memory and monumentality." 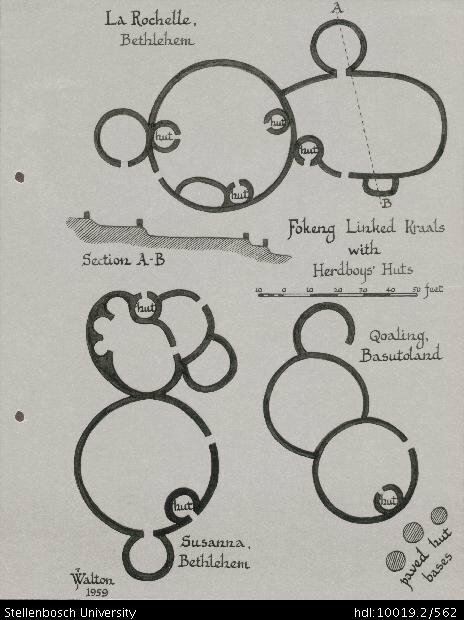 The great prehistoric ceremonial monuments of the Avebury World Heritage Site, Wiltshire, have both captured the public imagination and been the focus of archaeological enquiry for over three centuries. However the wider worlds of routine, subsistence and settlement within which the monuments were created remain poorly understood. Visitors to Avebury often ask ‘where and how did the people who built these monuments live? ', yet this remains a difficult question to answer. The project is drawing together existing archives resulting from episodes of unpublished surface collection, excavation and chance discovery, and generating new information through a programme of targeted fieldwork. 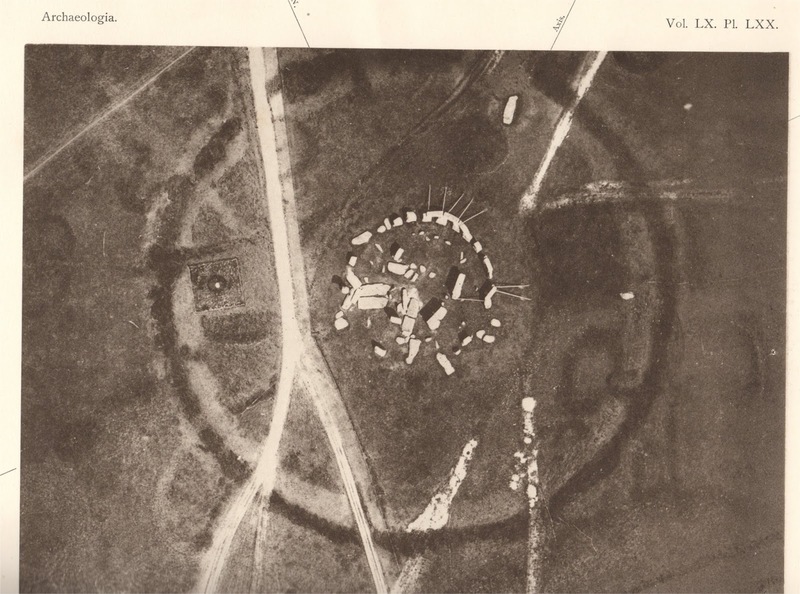 During 2013 it is intended to undertake work on two important Middle-Late Neolithic sites: at the foot of Avebury Down; and on the line of the West Kennet Avenue, where excavations in 1934 revealed traces of in situ settlement remains. The project is a collaboration between Southampton, the University of Leicester (Mark Gillings) and staff of the National Trust at Avebury (Ros Cleal and Nick Snashall). 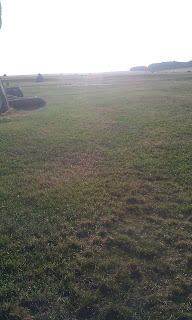 Non Completion Theory of Stonehenge and Finding the Missing Stones. I have tried to condense the relevant bits below but please download the full report from the link above. 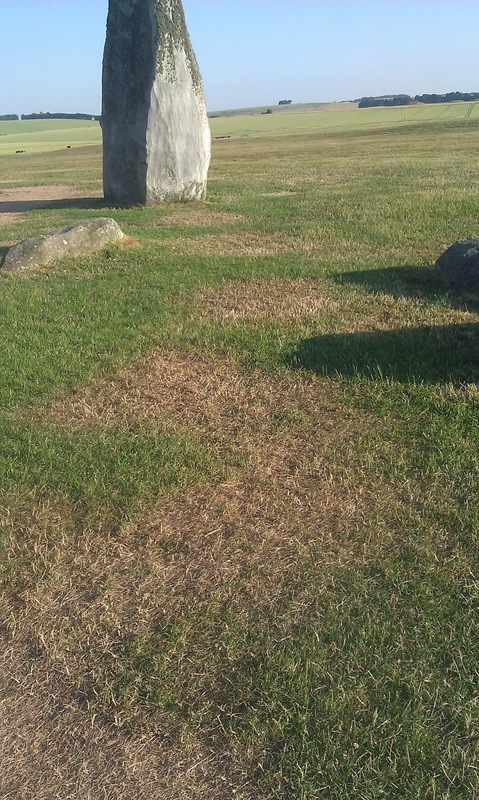 In brief there is no evidence for stones 17, 18 and 24 of the Sarsen Circle. 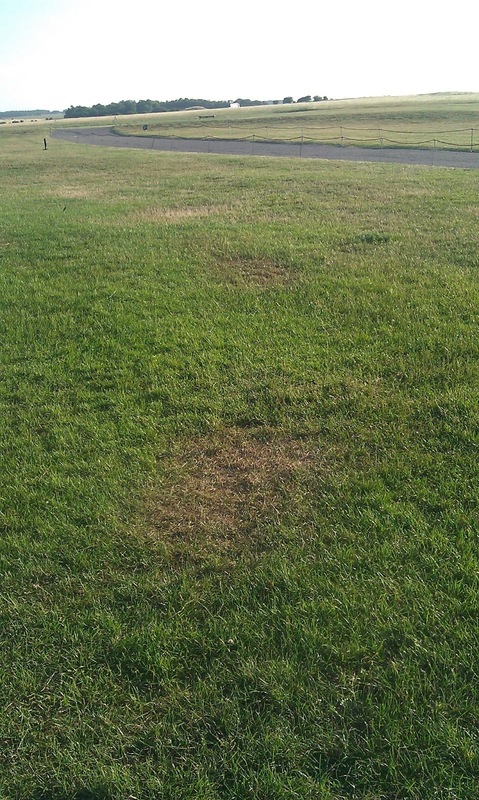 The parch marks I photographed 19/7/13 - see http://www.sarsen.org/2013/07/partch-marks-at-stonehenge.html - show marks consistent with holes for 17, 18, 19 and 20, so they suggest that these stones were actually erected. • The presence and use of ‘inadequate’ stones (e.g Stones Il and 21). 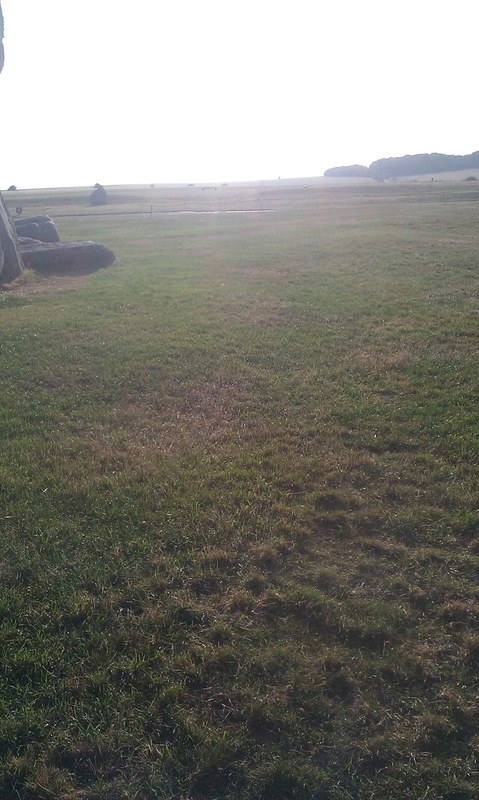 • The absence of approximately one third of the Sarsen Circle on the SW side of the monument and the absence of the majority of the lintels. • The absence of documentary evidence for the removal of stones or slighting of the monument. 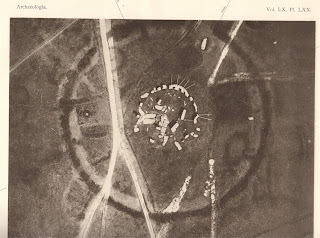 In conclusion, this study provides evidence that 27 of 30 uprights of the Sarsen Circle were certainly erected, and the presence of tenons on adjacent uprihts may indicate that all were present along with at least 26 of the 30 lintels. 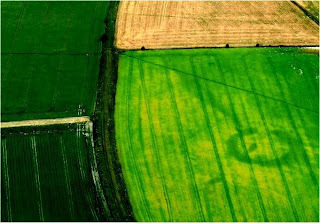 There is certainly no convincing evidence that the circle remained incomplete, and in the light of the significant degree of demonstrable stone robbing it is possible that a complete Sarsen Circle once existed. It is, however clear that the Sarsen Circle was never a perfectly symmetrical circle of regular pillar and lintels. Its SW half was not as well constructed as the surviving NE halt the stones were smaller less regularly shaped and their exterior surfaces were left coarsely dressed or entirely unworked. 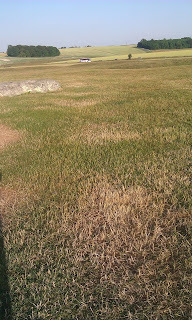 The dry weather has brought out some amazing parch marks at Stonehenge. I was most excited by the appearance of four circular marks between Stone 16 and 21. These are where the four missing stones should be, so is this a hint that actually there are four holes there? 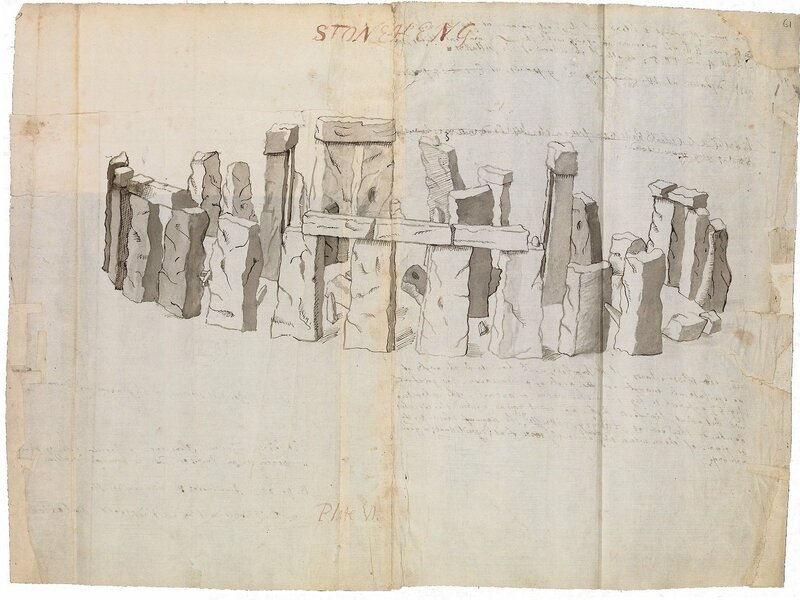 There is a debate as to whether Stonehenge was ever finished and if stones 17 and 18 were ever actually erected. I believe that geo-phys results are inconclusive in finding the stoneholes so this is interesting and supports the argument that it was. 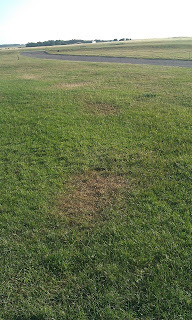 Around the monument there are also parch or crop marks that seem to correspond to the Z and Y holes. 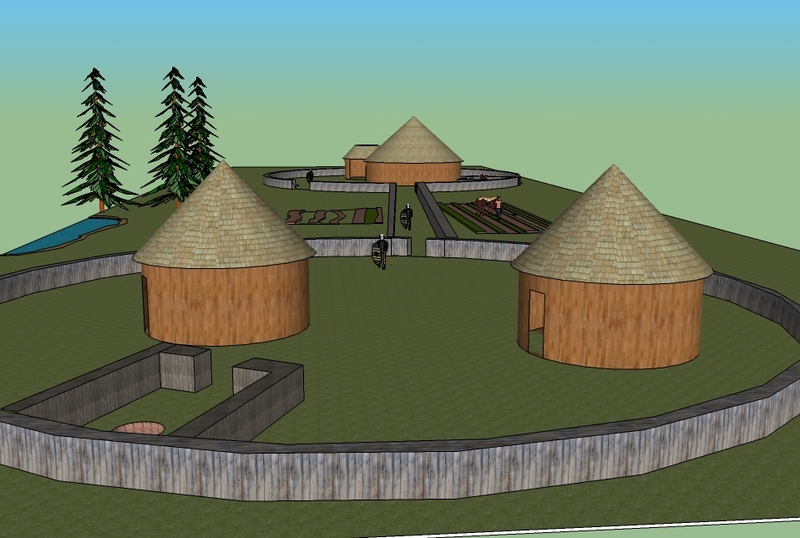 Reading Jay's excellent blog post about Hillforts - http://jayjayaurelio.wordpress.com/2013/05/17/should-wessex-hillforts-be-regarded-as-centres-of-political-control/ - and looking at some of his other posts I noticed his picture of a Banjo Enclosure. It struck me that it hasn't done MPP any harm comparing Stonehenge to African structures so would it be interesting to compare our ancient enclosures to African Kraals and Bomas. From Stellenbosch University comes these plans, among others. I recommend a browse, as they may give hints as to our history. Fascinating website, I had no idea about them before. Anthony Johnson's Solving Stonehenge Argument That I'm Wrong. There is no certainty that this stone, which had been leaning for centuries had been put back where the Neolithic surveyors intended it to be, but to have the confidence to assert this needed proof beyond that indicated by the computer model alone. 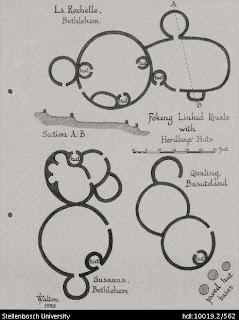 The account of the work carried out before Gowland set the stone upright in 1901 needed to be re-examined, and the surveys made by John Wood (1740), the Ordnance Survey (1867) and Petrie (1877) had to be compared with Gowland’s careful drawing [122a] of the stonehole before the engineering work began. 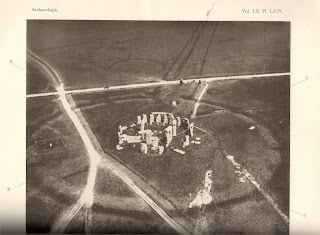 Rather than trust survey dimensions that may always have been measured relative to the fallen, broken and displaced stones, I struck two circles from the centre of Stonehenge on each of the historic maps: the first was drawn to touch the innermost part of the leaning trilithon, the second the outermost. The object was to compare its various plotted positions in relation to the undisturbed eastern trilithon (Stones 51- 52 and 152). 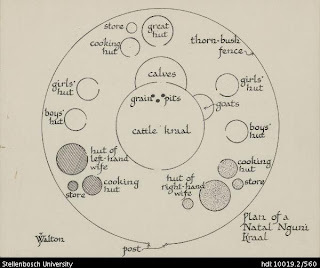 These circles showed a good agreement on the three pre-1901 maps, hut all mismatched the modern survey. There was now little doubt that the standing stone of the Great Trilithon had been restored in the wrong place. But there was more to this exercise than identifying discrepancies in resetting the stone; if a displacement could he confirmed, then it demonstrated that the prehistoric survey methods and geometric principles which had been used to mark out all the other stones in the sarsen arrays had also been used to fix the original position of the Great Trilithon. In 1902 Gowland published the plans and section drawings of his restoration work. 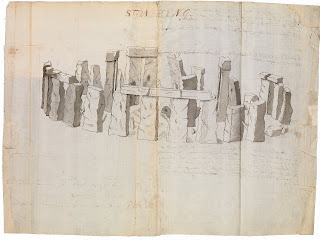 Amongst his drawings are records of the deposits that lay against the south west face of the stone where three successive blocks of chalk were cut away to reach the bottom of the Neolithic foundation hole [122a]. As each section was removed it was replaced with concrete to form a wall against which the outer face of the stone was to be subsequently set. 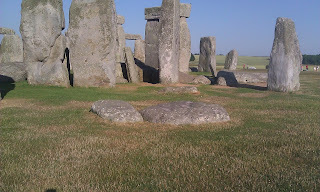 The section drawings show that, deep below the turf, the leverage exerted by the massive stone as it tilted into the centre of the monument had pushed its base outwards, causing it to ‘bite’ into the chalk on the (southwest) side of its foundation cut. When the stone was re-erected it was winched upright not to where it had been originally set, but against a vertical face representing the maximum displacement of its toe [122b]. This is perfectly understandable: Gowland’s task was to correct the tilt; the relatively small dislocation of the 45-ton trilithon was not important in the scheme. The result is that today the stone stands perhaps as much as 60 cm southwest of the position in which it was first erected, and is rotated approximately nine degrees anticlockwise from the perpendicular of the axis. These are small but very significant details. The book really is very good, the first two thirds of it a great bringing together of the history of the stones, the latter part his impressive demonstration of how the stones may have been set out. There is more on his blog as well - http://sarsen56.wordpress.com/. But I think he errs with his analysis of the position of 56. My arguments are set out at exhaustive length elsewhere on this blog, for instance at http://www.sarsen.org/2012/07/stone-56-proof-its-position-is-correct.html, I will leave this post as his argument that I am wrong. Monumenta Britannica by John Aubrey, in four parts, chiefly written in about 1665-93, with notes added by John Evelyn and Dr Thomas Gale. These volumes contain a large amount of curious observations and original work, and are of considerable value from the numerous illustrations and the first-hand information relating to British antiquities.